Our learning tracks take a student through a series of small challenges to teach a concept such as energy potentials or differentiation. At the heart of each learning track is a game designed to illustrate the core concept and let the student learn it by exploration and interaction. The game is typically complemented with educational texts, quizzes and other fun tasks that all contribute to the student reaching the learning goal of the track. Unfortunately due to technological issues our learning tracks are currently unavailable online. Please sign up here for updates on the progress we make on solving these issues. If you are interested in using the tracks in your classroom, please contact us about getting access to an offline version! Learn to master potential and kinetic energy. Get to the goal and solve the puzzle by being in control of the environment. But be careful! In order to succeed you cannot move too fast. 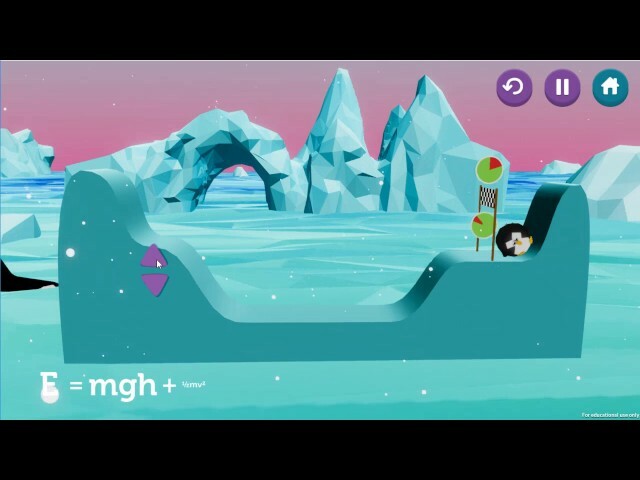 In the Potential Penguin game you explore the connections between potential and kinetic energy. By changing the landscape you control the potential energy of a penguin. You have to overcome the obstacles and get the penguin to the goal. However, in order to succeed the penguin cannot have too much kinetic energy. During the game you will encounter the limitations posed by the conservation of energy and learn how to overcome them. Learn to find the slope of a function by differentiation. Match the graphs with the functions, and expose the patterns behind the math. In the begining of DiffGame you learn to match various kinds of graphs with their accompanying functions. 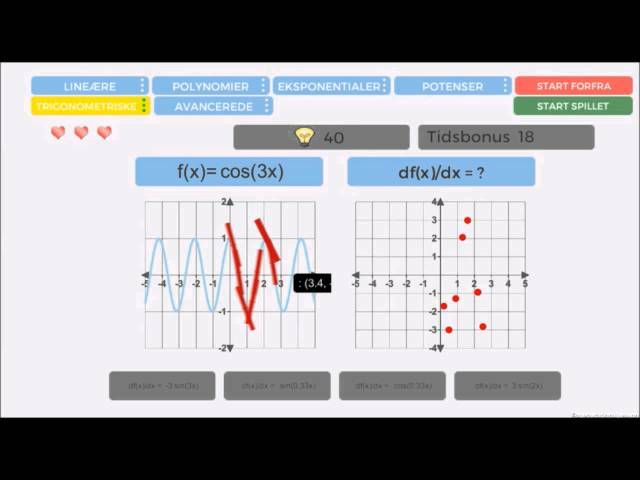 The graphs vary from linear to polynomial, exponential, power, and trigonometric functions, and the advanced mode challenges you to handle combinations. Afterwards, you will learn to identify the trends for the functions' slopes. Mastering this allows you to proceed to the final challenge: Finding the derivative of a function. By exploring the tangents of the function, and examining the possible solutions, you can determine the patterns behind differentiation. Learn how to interpret measurements of quantum properties differ from classical measurements. You will get to manipulate the experiment in order to find your results. This track introduces the Stern-Gerlach experiment in which multiple sets of magnets are used to probe the spin of quantum particles. By aligning the magnets in different configurations you will explore the non-compatibility between measurements of different quantum properties. You will also be able to compare the differences between the classical and quantum systems with regards to measurements. 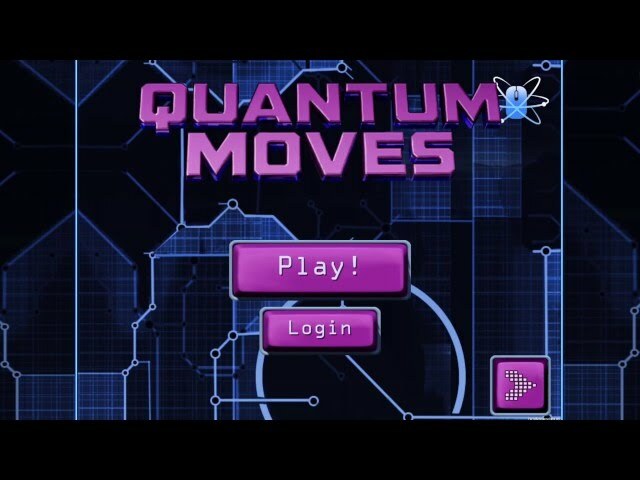 Learn how to interact with single atoms through the Citizen Science game Quantum Moves. You will experience quantum mechanics in action, and be able to contribute to the making of a quantum computer! Based on the classical physics encountered in Potential Penguin this game goes one step further and introduces you to quantum mechanics. Here atoms are not small classical balls, but act as waves with very special qualities. However the physics of energy conservation and the mechanisms of taking energy out of a system still apply. By moving the potential well the atoms can be moved around and quantum effects allows them to tunnel to other potentials. By playing the games you will help build a quantum computer, since your solution could be implemented in our lab.